Rocket Boost is a FREE app that allows you to boost your Android phones speed. It’s a simple and cleanly designed application that helps you reduce the clutter of your phone and optimize it for best performance. We have a one tap feature which boosts your phone within minutes. Memory Boost - Free up your RAM (memory) and boost up your Android phones speed by killing useless background tasks slowing down your phone. 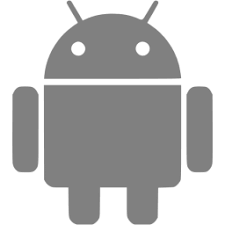 Clean Storage - Clean all the junk files that are stored in your Android phone taking space such as cache files. Control your Privacy - We’ll help you find applications that are installed on your device by permission of Call SMS Location Camera and Contact. Uninstall Applications - We made it easy to uninstall unwanted application APK from your phone. Widget - We have a simple widget where you can tap once and it will boost your phones speed up for you. Please Note: We do request for Read Log Permission Read Contact Permission and Read SMS Permission. We do not save or go through any of your private information.